James Stewart: ultra runners are super tough, right? 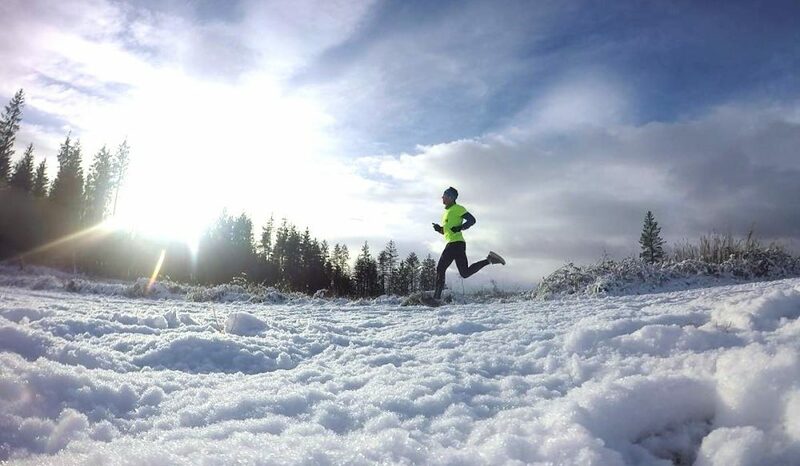 In his first ‘fast runners: class of 2018’ post, ultra runner James Stewart writes about his battle with Scottish snowstorms as he eagerly awaits news on British selection for the 24-hour European Championships. Here we are in mid-January and in the last week alone there’s already been a whole swathe of blood, sweat and tears and I don’t even have a race booked yet. As I sit typing this I am also awaiting news on selection for the Great Britain 24 hour team, with the squad for May’s European Championships due to be announced next week. Representing your country is the pinnacle of any sport and I was lucky enough to it last year. That race didn’t go as well as I hoped (well, if I’d hoped to drop after 16 hours and well over 100 miles with an injury I’d be a fool!) so I am keen to make amends. So keen I am watching Roy Keane tackles, practising Robbie Keane celebrations and listening to Keane daily. That last sacrifice alone should get me sainted. In fact, if I had to I’d go to Milton Keynes to train. Too far? Sorry. Like many athletes who find themselves in the championship cycle, you have to train with assumptions but also back-ups. I have both. I am training in the hope that I will make the team but even if I don’t I have a couple of irons in the fire. But, of course, this is Scotland in the winter. That means volatile weather, it means challenges in getting the training in. It means seeing daylight on a run is as about as likely as seeing a humble tweet from Donald Trump. It means planning ahead, being agile to conditions and having to have a level of motivation that leaves work colleagues describing you as mad as you gobble down a cup of poached eggs whilst sitting on a conference call in sweaty shorts and a dripping top. The sweat comes from the training. Even without a race, I am preparing. Paul Giblin, my coach and 3x West Highland Way Race winner, 2x Western States top ten runner, amongst a whole heap of other achievements, decided this week would be Hell Week for some of his athletes. 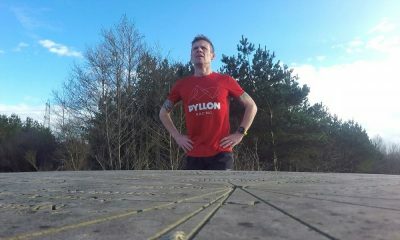 That meant more thinking, more work, more core, more strength and a general uptick in training. 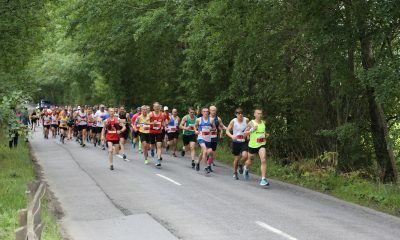 It can seem nuanced some of it but as an ultra runner training is already high volume, and not without intensity. Lots of little adds to test us. It’s brilliant. A little stretch to see how we react. The past 48 hours have been a good example of how I organise myself. As I hit the harder start to the week than normal the snow arrived. That meant Tuesday morning at 5 am I was hurtling along the canal doing intervals into a heavy snowstorm. Imagine your vision was like a one-hour long version of the Millennium Falcon doing the jump to light speed. That was me. Then, I had a recovery run after a full day at work, and in my work snow falling is a big stress for service. But, central Scotland was in shutdown due to the fact that gritters couldn’t keep up with the rate of snowfall. I had to find a way to get my run in, get home from work and get back to work the next day. To do this, this is how the 48 hours looked for me Tuesday and Wednesday. Tuesday 05:00 – Intervals followed by some core and stretching. Tuesday 16:30 – Run 4k to get a train home, crossing fingers all the time that the train was running. It was. I had some squats to do which I did at the station as the train was late. Tuesday 17:30 – Off the train and running 13k home in a heavy snowstorm, I was outrunning cars, literally. Tuesday 21:00 – Some stretching and mobility work at home. Wednesday 05:30 – Run 18k to train station to get the train, crossing the same fingers as the night before. The paths were ankle deep most of the way. Wednesday 07:30 – Off the train at other end and 4k to work. The blood came here when I fell on my backside on a slippy patch. I didn’t cry. Honestly. Wednesday 13:00 – Gym at work, some lifting and core work. Wednesday 20:00 – Lapse into a deep sleep whilst watching Adventure Time with the boys. With thought and planning and dedication, I can get the training done. It’s never a case of will I do this, it’s more a case of how will I organise myself to make sure I do this. Training is an absolute priority for me. I’ve sacrificed a lot to get to this stage and no amount of snow will get in the way. If I’d had to get on the treadmill in the work gym I would have. Thankfully I have not had to break glass with that option just yet! But the point stands – if you want to do your best enough you find ways to put your best effort in. Just realised, I forgot to tell you about the tears! Well, that was when we watched the brilliant Gangsta Granny with the kids. Euan was distraught at the end when the Granny dies. 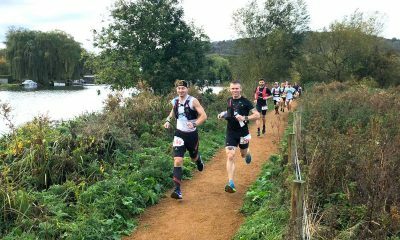 I was nearly away too, lump in throat, glistening eyes and a croak in my voice but don’t tell anyone ‘cause us ultra runners are super tough, right? James Stewart is part of the ‘fast runners: class of 2018’ and will share his running journey every month throughout 2018. More information can be found here.